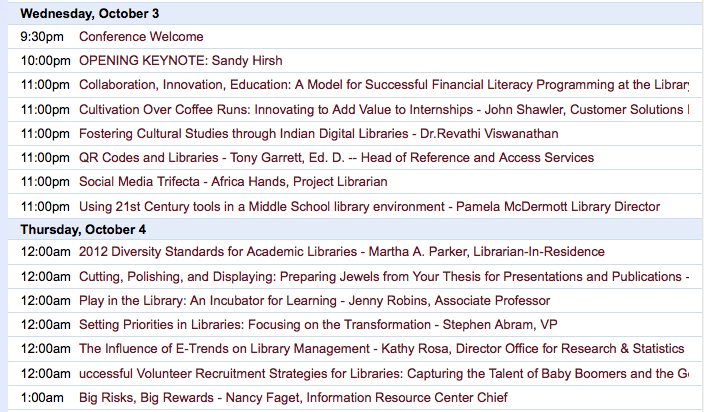 The Library 2.012 Worldwide Virtual Conference will be held October 3 – 5. The conference will be online, in multiple time zones over the course of two days, and free to attend! 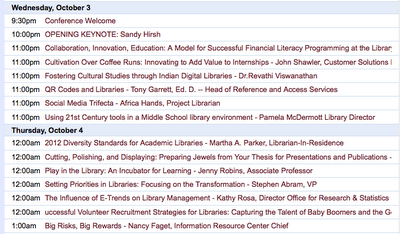 The School of Library and Information Science (SLIS) at San José State University is the founding conference sponsor. Register as a member of this Library 2.0 network to be kept informed! There are some great things on…. in the middle of the night. though also in the morning…. Previous Post Red Dot SHORTLIST for 2012-2013 — at last…..
Next Post Brush up on your research skills with Research Toolkit.